Data Point: Why Conduct an Overall Foundation Assessment? This weekend, CEP president Phil Buchanan, advisory board member Fay Twersky, and board member Anne Warhover will discuss the topic of overall foundation performance assessment at the Council on Foundations Annual Conference in Chicago. As a primer for this session—being held Sunday, April 7 from 4:30 to 6:00 pm—here’s a data point from our archives on why foundations conduct overall assessments. In our 2011 report State of Foundation Performance Assessment almost half of foundation CEOs (48 percent) reported that they were combining information across functions into a foundation-wide performance assessment. The most frequent reason cited for doing so was to learn and to improve the foundation’s future performance. Other frequently cited reasons were demonstrating accountability for the foundation’s use of resources and understanding the external impact that can be attributed to the foundation’s work. If you are attending the COF conference this week, be sure to swing by to visit CEP at booth #500 for a demo of our new online reporting tool. 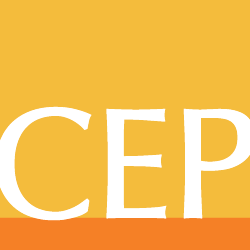 To read about foundation CEOs’ attitudes toward assessment and what foundations are doing to understand their performance, see the report, The State of Foundation Performance Assessment: A Survey of Foundation CEOs, published by the Center for Effective Philanthropy. Ellie Buteau is Vice President of Research at the Center for Effective Philanthropy. You can find her on Twitter @EButeau_CEP.